Darcy Piceu has the women's & overall FKT, 29h15m, June 10-11, 2017. Jared Vilhauer has the men's FKT, 30h. The 130km Huayhuash Circuit circumnavigates Peru's Cordillera Huayhuash. It is widely considered to be one of the top treks in the world. It includes numerous passes over 15,000' and up to 16,500'. 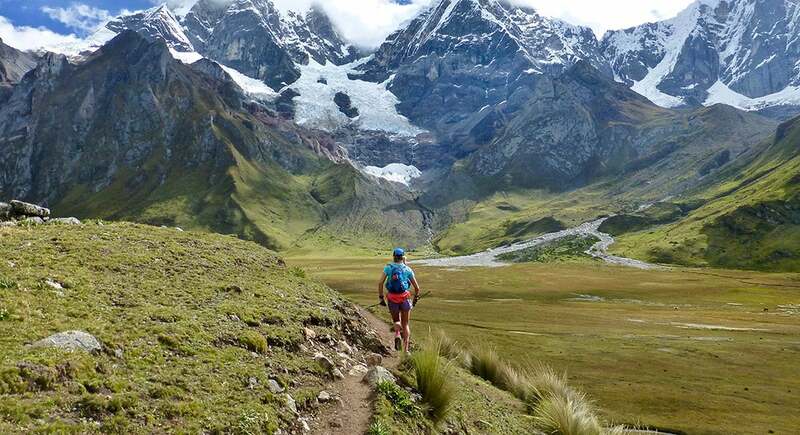 On June 10-11, 2017, Darcy Piceu ran the Huayhuash in an overall FKT time of 29h15m, as reported on her Twitter feed, by trailrunnermag.com, and elsewhere. She was supported by Highline Running Adventures, who's founder, Jared Vilhauer, is credited with the men's FKT of around 30h.